Try it Now! Click above for Sample. Zeal Wellness contains guarana, an herb that contains a form of naturally occurring caffeine. The caffeine equivalent in a serving of Zeal Wellness is comparable to a cup of premium coffee. Limit caffeine intake to avoid nervousness, sleeplessness, and occasional rapid heartbeat. Zeal Wellness Formula has been labeled by the United States Food and Drug Administration (FDA) as a “Functional Food”. We currently have a Kosher, Gluten-Free and Vegan formula. Zeal Wellness is 100% natural. Do not take Zeal Wellness if you are pregnant, nursing, or under 12 years of age. If you are taking any type of prescription medication, or if you have any questions concerning the ingredients in this product, consult your primary care physician before use. Q: Where can I purchase Zeal Wellness Products and what is the price? A: Zeal Products can only be purchased via an authorized consultant and is soon to be available in many countries within a few years. Please click here to purchase products. Please click here to become an authorized consultant. Q: What is Zeal Wellness? A: Zeal Wellness is an all-in-one natural nutritional drink. Zeal Wellness is a synergistic blend of whole food concentrates providing an excellent source of nutrients, antioxidants and vitamins that enrich, restore, and protect you body at the cellular level. Q: Why is Zeal Wellness not in a liquid form? A: When it comes to nutritional potency, powder is more stable than liquid. The shipping weight of water also increases the price of the product so it is more economical to ship Zeal Wellness in a powdered form. Q: Why does Zeal Wellness not come in pill form? A: You would have to take 40-50 capsules to get the nutritional value found in one serving of Zeal Wellness. Q: What can Zeal Wellness be mixed with? A: Many people prefer the simplicity of mixing Zeal Wellness with water. However, many people mix Zeal Wellness with juice or blend into a shake. Do not mix Zeal Wellness with hot beverages, as the heat will destroy some of the effectiveness. Q: Can I take Zeal Wellness before or after surgery? A: Today, many doctors recommend that you stop taking any nutritional supplements 2 weeks before surgery. Check with your doctor to see if he recommends discontinuing use before surgery. Q: Is Zeal Wellness all-natural? A: With the exception of the fortification of a few vitamins, Zeal Wellness is an all-natural product. Q: What is the source of the color in Zeal Wellness? A: Zeal Wellness is colored with all-natural colors derived from beets. Q: What is the sweetener in Zeal Wellness? A: Zeal Wellness is sweetened with Stevia. Stevia doesn’t adversely affect blood glucose levels and may be used freely by diabetics. A scoop of Zeal Wellness also contains 3.5 grams of crystalline fructose which is a relatively small amount. By comparison, a Coke contains 44 grams of sugar. We feel that crystalline fructose is a very effective and safe ingredient used in Zeal Wellness. The other advantage of crystalline fructose is that it has a very low glycemic index which may explain why so many people with blood sugar problems seem to get good results with Zeal. We however we strongly suggest you consult your doctor prior to starting a new supplement. Q: Are there any artificial colors, sweeteners, or preservatives in Zeal Wellness? Q: Can I take Zeal Wellness if I am pregnant? A: If you are pregnant or may become pregnant, it’s a good idea to discuss any nutritional supplementation with your doctor. Q: Can I take Zeal Wellness if I have a medical condition? A: If you have a medical condition, consult your doctor before beginning any nutritional supplementation program. Q: How much Zeal should I take? A: Everyone’s body is different, so you will need to pay attention to how your body reacts. You may want to start slow with a half a serving for the first few days. For smaller people, you may want to use 1/2 serving per day. Q: Can I take Zeal Wellness more than once a day? A: Zeal Wellness is designed to consume AT LEAST once a day. Because Zeal Wellness is a whole food concentrate, it is safe to consume more than once a day. Many people choose to take Zeal Wellness in the morning and in the afternoon as well. Please consult your doctor for guidance when starting a new supplement. Q: Should Zeal Wellness increase my energy? A: Many people will notice more energy, alertness, and better mental clarity. Zeal Wellness contains energy enhancing natural substances that can affect your energy level, including naturally occurring B vitamins and guarana. Q: Does the Green Tea in Zeal Wellness contain caffeine? A: Green Tea used in Zeal Wellness is standardized at 50% EGCG content and is considered “de-caffeinated” because when it is processed to contain a high level of anti-oxidants (EGCG) the mount of naturally occurring caffeine is reduced. Q: Do I need to take any other supplements? A: Zeal Wellness is designed to be an all-in-one, once a day wellness formula. Many people will find this is the only supplement they need. Please consult your doctor for guidance. Q: Is there Vitamin K in Zeal Wellness? A: No, Vitamin K is not in Zeal Wellness. There is, however, Vitamin K in our Advanced Formula Protein Shakes. Each serving of Zurvita Protein Shake contains 58 mcg (73% of the recommended daily requirement). Q: Is Zeal Wellness cold-processed? A: Zeal Wellness is cold-blended, cold-filled, and cold-processed. The only introduction of heat is when the label shrinks around the canister after it is already filled. This does not change the temperature inside the canister by more than a few degrees. Q: Where is Zeal For Life available for purchase? A: Zeal Wellness is available in the these countries. Please click here. Q: Do the bottles used for Zeal products contain BPA (bispenol-a) and is it recyclable? A: Zeal Wellness Canisters, Zeal Single Serving bottles, Zurvita Cleanse bottles and Zurvita Burn bottles are all HDPE #2 bottles. All these bottles do not contain BPA and are recyclable. Q: Where do the ingredients in Zeal Wellness come from? A: When it comes to the source of the ingredients, we source the raw ingredients from all over the world. Rice Bran from Brazil, Aloe Vera from the Americas, Acai from the Amazon, Tumeric from India, Goji Berry from the Hymalayas, Noni from the South Pacific, to name a few. These raw ingredients are shipped out to our manufacturing plant and are then mixed together with the other ingredients to make Zeal Wellness. Most of the nutrients are naturally occurring in the whole food concentrates. We do fortify Zeal Wellness with a few essential vitamins that do not occur in the raw ingredients. Q: Is Zeal Wellness enough or should it also be taken with an everyday vitamin? A: Zeal Wellness is designed as an all-in-one nutritional supplement and contains most everything a multivitamin contains. However, everyone’s body is different and some people may have certain conditions, so there may be an occasion where someone needs to supplement more of a particular vitamin or mineral, etc. Q: Does Zeal Wellness contain monosodium glutamate (MSG)? A: Zeal Wellness does not contain MSG, nor is there MSG in any of the natural flavors used to make Zeal Wellness. Q: Does Zeal Wellness contain methylsulfonylmethane (MSM)? A: Zeal Wellness does not contain any MSM. Q: Does Zeal Wellness contain any shellfish? A: Zeal Wellness does not contain shellfish or shellfish by-products. However, please be aware that Zeal Wellness contains many different individual ingredients and some of those ingredients may be processed in a facility that also processes shellfish. Q: Is Zeal Wellness safe for diabetic use? A: Although dietary fiber and other nutrients in Zeal Wellness are considered to be healthy for many individuals, it is recommended that anyone with a medical condition consult their primary care physician prior to taking any dietary supplement. Q: Why isn’t pycnogenol from pine bark used in Zeal Wellness when it is known to be a great anti-inflammatory/antioxidant? A: Pine Bark Extract is an excellent ingredient and has positive benefits of pycnogenol. Grape Seed Extract is used in Zeal Wellness because it has a broader antioxidant profile than pine bark extract … although pine bark has better anti-inflammatory properties. There are already excellent anti-inflammatory ingredients in Zeal Wellness like aloe polysaccharides, goji, noni, acai, bacopa and ashwagandha. Q: Is Zeal Wellness Formula gluten-free? A: Yes. We offer Gluten-free, Kosher and Vegan formula. Q: Do either Advanced Formula Protein Shakes contain any gluten? Q: What are the sources of the vitamin D and vitamin D3 in Zeal Wellness? A: The sources for the vitamins are as listed:  *Vitamin D3 (cholecalciferol)  Vitamin B3 (niacinamide)  Vitamin B6 (pyridoxal 5 phosphate)  Vitamin B12 (methylcobalamin) We don’t state that a particular vitamin comes from a specific source, e.g., broccoli or rice bran, because that is not a standardized supplement facts claim. Q: Is it okay to mix a large batch of Zeal Wellness for the whole week? A: Similar to most powdered supplements, adding liquid and leaving it over time can make the ingredients less effective. It’s best to mix Zeal Wellness and drink it within a day; however, if you do mix a large batch, be sure to keep it refrigerated to better preserve the nutrients. Q: Does Zeal Wellness contain peanuts? A: No ingredients in Zeal Wellness contain peanuts or are processed together with peanuts. However, Zeal Wellness contains many different ingredients that are manufactured and processed throughout the world. There is no certification process in place whereby each facility is certified to be peanut allergy free. Q: Is there a guideline to follow when giving Zeal Wellness to children? A: We recommend consulting with your child’s pediatrician before giving them Zeal Wellness (with guarana) if they are 10 years or younger. Children between the ages of 11 and 17 can take half a serving of Zeal Wellness per day, while teens 18 and up can take up to 2 servings each day. Of course this is a general guideline and we recommend talking to your family doctor if you have any questions. Q: What is the exact amount of milligrams of caffeine in one serving of Zeal Wellness? A: The guaranine in guarana can be compared as a “caffeine equivalent” but does not actually contain caffeine. The detailed milligrams of guaranine may vary slightly from batch to batch of guarana, but each serving of Zeal Wellness has the same “caffeine equivalency” as a cup of gourmet coffee. Q: Does Zeal Wellness contain genetically modified organisms (GMOs)? A: We have not been tested for non-GMO labeling however our raw materials are 100% natural. Q: Do you use high-fructose corn syrup (HFCS)? A: fructose is sugar naturally found in fruits and crystalline fructose is simply a crystalline form of that. It has been used in foods for years and is considered a very safe ingredient. There is some controversy around high-fructose corn syrup (HFCS) which is very different. HFCS is often used in soft drinks and in large amounts. People that drinks lots of soft drinks/sodas can have issues related to the amount of HFCS consumed. HFCS is a combination of fructose and sucrose. Most of the articles that I have read regarding the topic of fructose have to do with the large amounts of sugar (from many sources) that the American diet contains. I think we all agree with that. Any ingredient in large quantities can be bad. A scoop of Zeal Wellness contains 3.5 grams of crystalline fructose which is a relatively small amount. By comparison, a Coke contains 44 grams of sugar. We feel that crystalline fructose is a very effective and safe ingredient used in Zeal Wellness. The other advantage of crystalline fructose is that it has a very low glycemic index which may explain why so many people with blood sugar problems seem to get good results with Zeal. Prior to starting Zeal for Life Supplements, we suggest you consulting your health practitioner. There are clients who chose to take the Zeal Supplement twice a day. Reblogged this on Goutdaddy's Blog. Greetings, we strongly suggest you consult his health practitioner. Please email them the link to the “Doctor’s report”. It won’t let you print it from the Advisory Link ! Can’t take it to our Dr. can we. We regret the inconvenience. We disabled the printing feature to maintain the integrity of our document. As a courtesy we will email you for your mailing address and we will gladly mail you a copy asap. Thank you for your interest in Zeal For Life Products. Are you planning on sending Zeal to an independent lab to have it certified gluten free? I really want to use this product but until I know for sure that it certified gluten free I can’t use it. I am extremely sensitive. How long does such testing taking take? I am very interested in your product but have both serious allergies to milk and especially wheat. So I must adhere to a strict non dairy gluten free diet (not a simple task, I assure you). I think your products will fill in the nutritionally where I am sure to be lacking somewhere. The Zeal Wellness formula for the “Tropic Dream” flavor is certified vegan and Gluten-free. Is it possible to get samples?? Greetings! Yes! You can visit our http://Zurvita.com/healthRoads page and click on “Try Zeal” – USA only. Thank you for your interest. Is Zeal soy free ? Zeal Wellness formula Is soy free. Just wondering if Zeal has been known to interact with any birth controls? I’m interested in becoming a ZEAL consultant and would like some more information on why it is not recommended to use this product while pregnant or nursing? If it is all natural and I’m encouraged to take supplements while nursing why can I not use the ZEAl wellness product? Is it simply bc of the caffeine? I have caffeine on a daily basis and am not bothered by having it in my milk…you state not to take the ZEAL wellness but do you have other options for nursing or pregnant moms? I don’t want to wait until June 2015 to try this product! Greetings Emily and congratulations! Thank you for your note and expressing your concern. As with any nutritional supplement we want to be sure your health practitioner is consulted and in the case of expecting moms, we also want to be sure your doctor approves Zeal for consumption during your pregnancy along with anything else you might be taking, just as a precaution. Thank you and again congratulations to you and your family! Started about week and half first few days lots of energy been watching what I eat n walking an hour a day, last 3 days no energy at all.Sleepy all afternoon. Not sure if should continue?? We are glad you have chosen Zeal Wellness to supplement your diet. It seems you have gone through major recent changes by altering your diet and starting on a new nutritional supplement. We strongly suggest you consult your dietician or your health practitioner to address your dietary needs. Thank you for your note and we look forward to hearing from you again soon. Hi, I have hypertension and my doctor prohibited any source of caffeine. I guess this would be out of the question for me? Thank you for your interest in our Zeal Wellness. We offer a “Guarana Free” formula, which eliminates your concerns regarding caffeine. You can visit http://Zurvita.com/HealthRoads for purchase. The gluten-free is already ready for marketing this first quarter of 2015. It is the Tropic Dream flavor which is also vegan, another much requested preference. Zeal Wellness formula is non-GMO. I am interested in purchasing the protein shakes and the zeal wellness. I am gluten, dairy and egg free. Would these products be safe for me? The ingredients in the Zeal for Life Chocolate Delight and the Zeal for Life Vanilla Creme do not contain gluten. Further, whey protein is the key ingredient in the shakes and it does not contain gluten. Zeal Wellness flavor “Tropic Dream” which is vegan and gluten free. Greetings Desrene and thank you for your interest. Please visit our “Nutrition Fact Sheet” page for our products. My mothers potassium is running high. Will Zeal help her get that down? She is also a diabetic. We need something that will help keep her sugar low and her blood pressure as well. She has health issues and is under doctors care but the foods that are good for her blood pressure and sugar are causing her potassium level to rise and that is causing damage to her kidneys. Can Zeal help? Does the new Gluten free Tropic Dream contain all the same vitamins that are in the original blend? They are not listed on the fact sheet or the bottle. Can I take zeal at the same time I take msm or other vitamins? If not, what is the recommended time lapse between each product? Greetings, this is a question for your nutritionist. Please print the nutritional fact sheet for Zeal Wellness for an assessment. Does Zeal Wellness have any ingredient that will mimic a hormone? Where is zeal wellness for life products manufactured? Raw materials come from around the planet however Zeal Wellness products are manufactured in Texas. When it comes to a refund, is not processed by Zurvita but by your consultant. Your consultant’s phone contact is also listed on your customer enrollment confirmation. Although Zurvita does not handle refunds, you can call for assistance in contacting your consultant and they will gladly assist. Please be mindful the Zeal Weight Management program is non-refundable. Are the zeal protein shakes gluten free ? I have been taking zeal for a few years now however I have been put on a no soy, no gluten, no dairy, no corn diet for at least 3 weeks. My issue is the crystalline fructose. Was it made with corn or table sugar. I can’t imagine having to go 3 weeks without my zeal. Zeal has helped so much with my RA, I will not be able to get out of bed without it. We regret you are required to refrain from taking your Zeal. Have you shared the contents of our Tropic Dream supplement with your healthcare practitioner? Perhaps it will be allowed during your 3 week fast. Ok to put Zeal in freezer or frig so it’s potency will last longer if I buy large quantities? If you are on auto-Shipment, you are sure to receive a canister per month and it will always be fresh. Although Zeal canisters have a 1 year expiration label on it and you could store it, it is always best consumed within 30 days. I saw earlier on this page that Zeal Wellness and shakes were being tested to confirm whether they are gluten free. As this was some time ago, I was wondering if there has been a result determined? We have received a label of gluten free and vegan for the “Tropic Dream” flavor! It is flying off the shelf and you can get it today! This is the ONLY gluten free flavor. The ingredients in the Zeal for Life Chocolate Delight and the Zeal for Life Vanilla Creme do not contain gluten. Further, whey protein is the key ingredient in the shakes and it does not contain gluten. Can I take zeal with a antibiotic? Such as zithromiacin or speak? Zeal Wellness is a natural nutritional supplement. We do not believe it will interact with your antibiotics, however we strongly suggest you consult your doctor who prescribed your medication and clear it with him/her. We do not know your medical history and cannot further advise you on your question. They are asking if there is any of the zurvita product with soy free? Zeal Wellness is soy free. Zeal shakes are not. Please review our nutrition fact sheets. Does the Zeal autoship arrive every 30 days? Yes, it arrives every 30 days and you determine date you wish to receive it. You will receive a discount on your purchase each month you remain on autoshiment. Also, when you sign up, you are given your own Zurvita marketing page just as this one below and when you share it with family and friends, you could get your Zeal product for free! Just get 5 people to go on autoshiment as well through your Zeal page. Does Zeal have arsenic in it, just read that the stabilized rice bran has high level of arsenic in it and that Zeal is not FDA approved and because it is all Natural that is how the company is flying under the FDA radar?… Is This True? I Just started taking this product and have even recommended it to my family but I don’t want any part of it if it is not safe. Greetings and thank you for your note. All ingredients are considered safe and our formula is also backed by a medical advisory board. Please consult your medical practitioner if you have any further concerns and share with him or her the nutritional facts sheets provided in this blog. Is Zeal Wellness considered a clear liquid for medical purposes? I’m on a clear liquid diet for a couple days so they can inject dye into my bloodstream and check for any blockages. I would love to continue to drink Zeal, but I want to make sure it’s safe. My procedure was rescheduled last second due to something happening with the machine, so I didn’t get a chance to ask the doc if it was okay. Greetings Dani. We pray all goes well. This is a question for your medical doctor and we cannot advise you for we do not know the exact requirements of your procedure and he or she would be the best person to ask. Show them the canister for evaluation. When taking zeal do i still need to take blood pressure medication, cholesterol pill? Greetings Janice, Zeal Wellness is intended to nourish and restore your body on a cellular level and although it helps in your overall well being, it is in no way to replace your doctor’s prescriptions unless he/she directly instructs you to do so. We are confident you will feel better and experience more energy and we hope Zeal Wellness can assist you on your road to a healthier and happier life. I am sensitive to guarana seed (caffeine) and ordered tropic dream under the assumption it is not in it. Can you get the tropic dream guarana free?? Greetings and thank you for your order! When placing your order, you can specify if you want Guaraná free, however currently only Bold Grape and Wild Berry offer the that option. If Zeal Wellness formula is non-GMO/GMO free, why is it not labeled as such? This is what’s stopping me and many others from trying Zeal. We are in the process of getting approved. It is a long process and we do not have a time frame. We understand your reservations. Is Zeal healed pretty well the type 1 diabetes diagnosing in two weeks? Zeal Wellness formula has been designed with Diabetics in mind, however we strongly suggest you consult with your medical doctor before making any changes to your diet. Is it safe to use Zeal past the expirery date, and is it still effective? We do not suggest you do. Product already has a 1 year expiration period and being that this product is formulated with herbs and natural ingredients we suggest consuming it as soon as possible. We certainly do not recommend taking products after expiration date. Ive been using zeal product a year ago and it helps me a lot .My gout arthritis is totally gone.My family doctor told me not to eat vegetables that has seeds on it or oxtail but that’s what we used to eat everyday so everyday since I was diagnosed with gout arthritis everyday I was suffering too.after taking megadoses of Zeal with faith I can eat whatever I want to eat and arthritis never ever came back.Since then my whole family is dringking Zeal even my three little kids and I was amazed with the results of their grades in school.Thank you Zeal and thank you Mark and Tracy for this amazing product. What a wonderful testimonial Willie! This is the reason we love this company! It offers a way for us to bless others and build a team of motivated and dedicated consultants who share similar stories. Does liquid seal contain selenium? Zeal Wellness does not come in a liquid form but powder. I have some Zeal and its expired can I stil use it? Greetings, we do not suggest consuming expired products. You want to get the most out of the herbs, vitamins and nutrients. A really good friend of mine lost all sense of taste and smell as a teenager and has also had a lot of sinus problems since then. Every morning he would wake up with a stomach ache and full of mucus. His appetite was horrible and we figured it was because his sinuses had drained into his stomach during the night. Early on they tried acupuncture and a few other techniques but nothing worked. Now, the only thing the doctors would do is prescribe him antibiotics and cough syrup. I suggested he start Zeal and the results have not only been incredible but fast!! No more waking up to stomach aches and mucus and his appetite is so much better. He has only been on it for a couple of weeks now and although his taste and smell aren’t back 100% yet, he swears he could taste the cocktail sauce from dinner the other night =). Thank you so much for this amazing product! We are both definitely Zeal4lifers! Thank you so much for sharing this awesome testimonial! Nothing makes us happier than seeing lives changed for the better! Be sure to share our page! Have you considered joining us as a consultant? wellness pak or Zeal wellbeing? Whats the difference? Zeal Wellness is the nutritional product we carry either in a 30 day canister or in single sample bottles. It is available in various flavors, as well as gluten-free, kosher and vegan formulas. Wellness pak is just the name used to identify the monthly shipment Zurvita Consultants desire to receive. 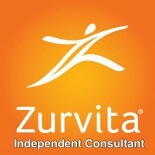 Were you interested in becoming a Zurvita Consultant? Is Topic Dream the only vegan option? If flavor states “Classic” it is the original non vegan formula. All flavors which do not state as being the “Classic” formula are vegan, Kosher and Gluten-Free. I am a nurse and am wondering if this is safe to take as a nurse? We can be drug tested at anytime and some of these products have some ingredients that can show a false positive on a drug screen. Do you know if this product has anything that might show up as a False positive? Hello Erica and thank you for your note. Our Zeal Wellness product is natural and considered a functional food which nourishes and restores on a cellular level. You can make a copy of our nutritional fact sheet so you are aware of all the ingredients. How long can I take the weight loss management program? I’ve already been on the zurvita weight loss program for a month and I love it! Can I continue to take the cleanse and fat burner? Or is this a one time thing. Hello! You can continue taking the Zeal Wellness on a regular basis and all with the guidance of your doctor. Can I get a list of ingredients and amounts of each for my doctor. I have a quick question … Can you mix the Zeal with frozen fruit or frozen vegetables and run it through a Ninja type blender? I work and take this product to work. I mix the Zeal with frozen fruit (sugar free) and also with the Protein and 1/2 the amount of water. It comes out like a smoothe and tastes wonderful. I have to freeze it the night before so that by lunch it is still cold. If this is defeating the purpose of the product please let me know. Thank you and God Bless! Product can be mixed as you stated and ideally should be taken as soon as you prepare it. Freezing it over night should not alter its effectiveness. Could you tell me which products/flavors specifically are guaranteed gluten free please? My Dad is starting dialysis soon and he can’t have any to very low potassium a day. Would Zeal be oKay for him to take? He is a diabetic and also has high blood pressure. Can I drink the protein shake to replace my evening meal without any of the other Zeal Wellness products? The protein drink can be used as a meal replacement with your doctor’s approval. The Zeal Wellness however, is considered a “Functional Food” providing daily necessary nutrients, minerals and vitamins. This entry was posted on June 13, 2012 by Zurvita.com/HealthRoads in Business Opportunity, Canada, Diet, FAQs, Functional food, Ingredients, Nutrition, Nutrition and Wellness, Reviews, United States, Weight Loss, Zeal For Life, Zeal For Life Consultant and tagged acai, advantra-z, all-natural, anti-inflammatory, antioxidants, B complex, bacopa, beets, blood glucose levels, business opportunity, caffeine, celiac, cellular level, Cholecalciferol, cold-pressed, daughternature, EGCG, FDA, food allergies, Functional food, genetically modified organisms, gluten free, glutenfree, gmo, GMOs, goji, Grape Seed Extract, green tea, guarana free, high-fructose corn syrup (HFCS), kosher, Lonoln Oil, manufactured in texas, methylcobalamin, milk thistle, Moringa oleifera, msg, natural healing, natural nutritional drink, niacinamide, noni, nutrients, polysaccharides, Prosperity, pyridoxal 5 phosphate, recyclable, shellfish, stabilized rice bran, stevia, surgery, USA, vegan, Vitamin B12, Vitamin B3, Vitamin B6, vitamin d3, vitamin k, weight loss, Zeal For Life Canada, Zeal for life in Canada, zeal for life price, Zeal For Life Products, zeal supplement, zeal weight management, zeal wellness formula, zurvita burn, zurvita cleanse, Zurvita Protein.